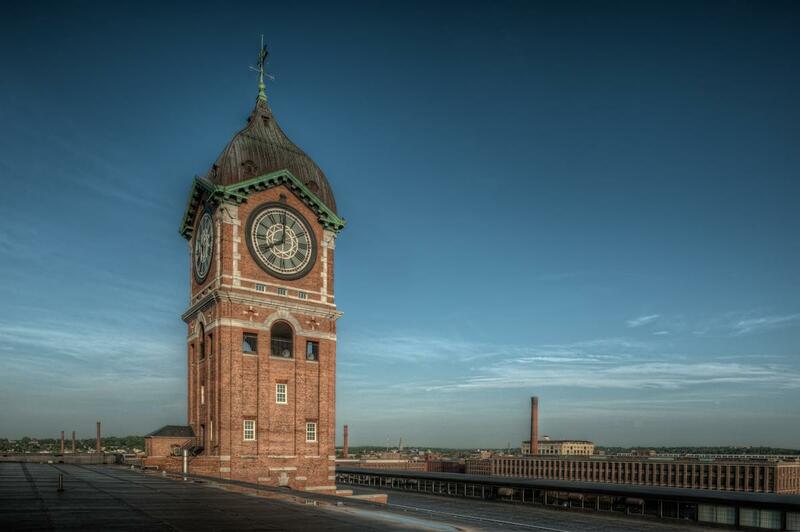 I’m pleased to present a small gallery of images of my recent shoot at the Ayer Mill Clock Tower in Lawrence, MA. 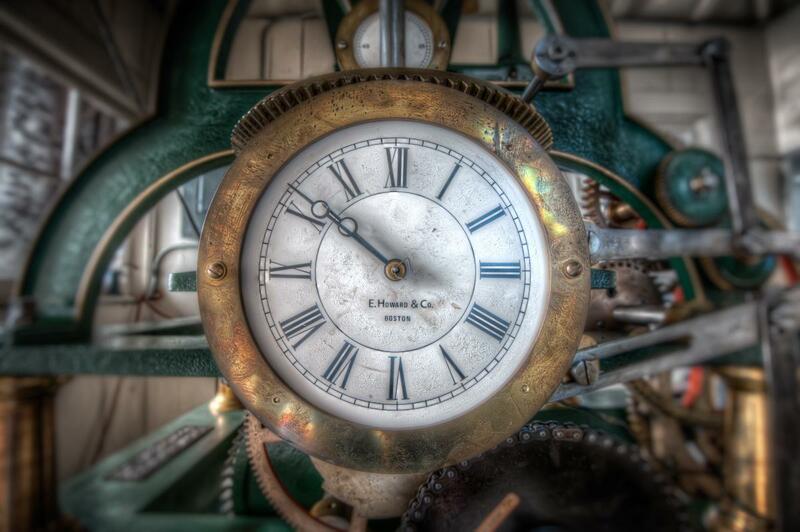 As I stated in a recent post, the clock turned 100 years old on October 3, 2010. 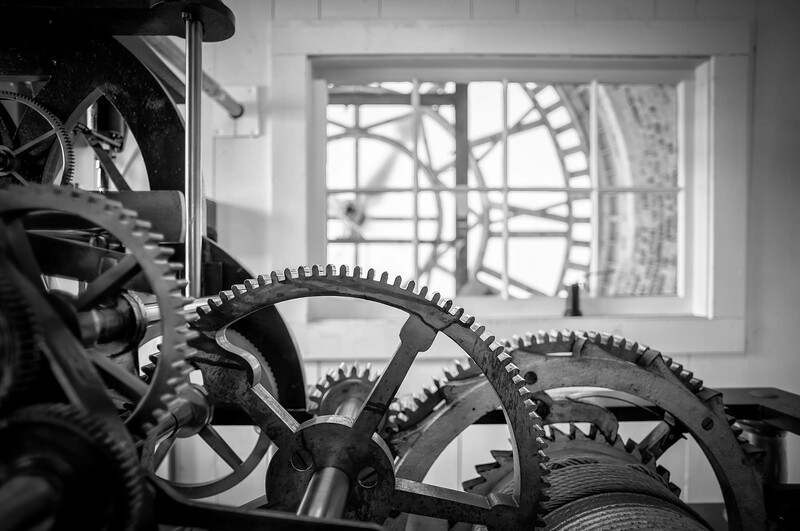 In my efforts to photograph the city’s mills and other industrial era treasures, I reached out to the Clock’s keeper, the Essex County Community Foundation, who graciously granted me access. 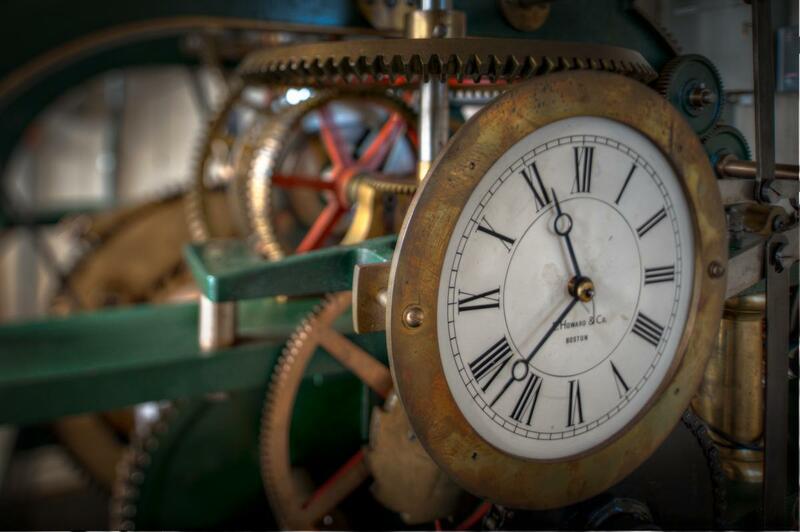 The ECCF maintains the clock and has established an permanent endowment to ensure the clock remains operational going forward. 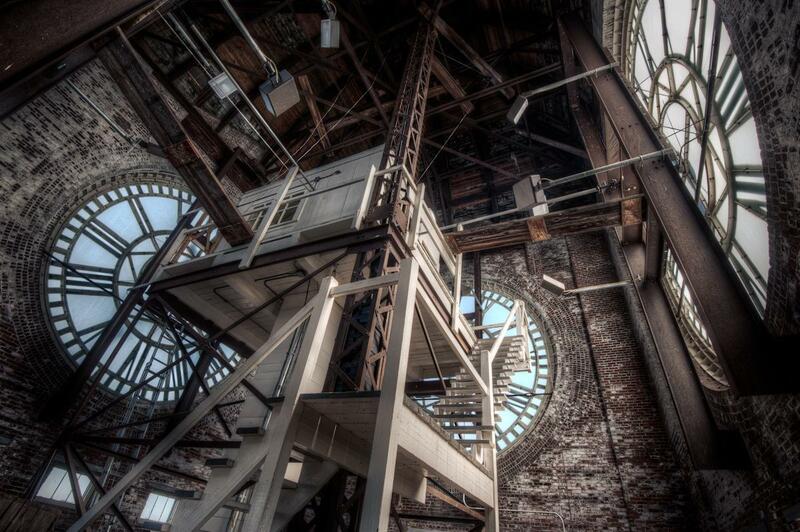 It towers about 260 feet above the city. 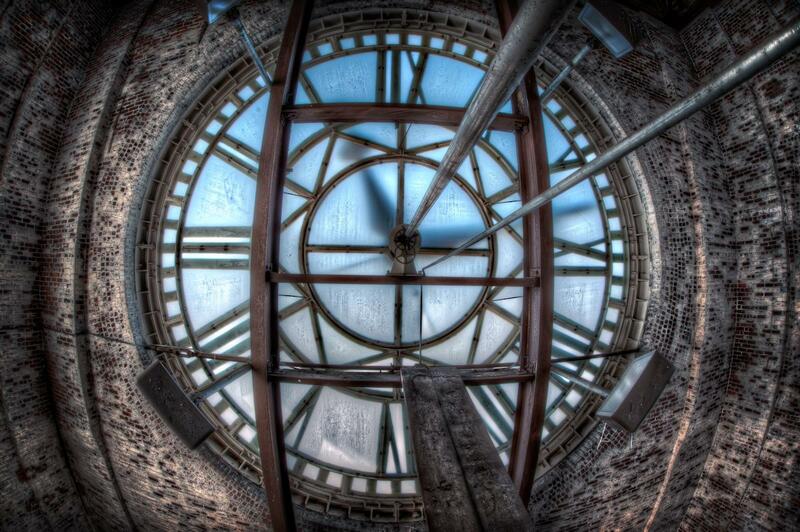 Each clock face is a mere 6 inches smaller in diameter than Big Ben. 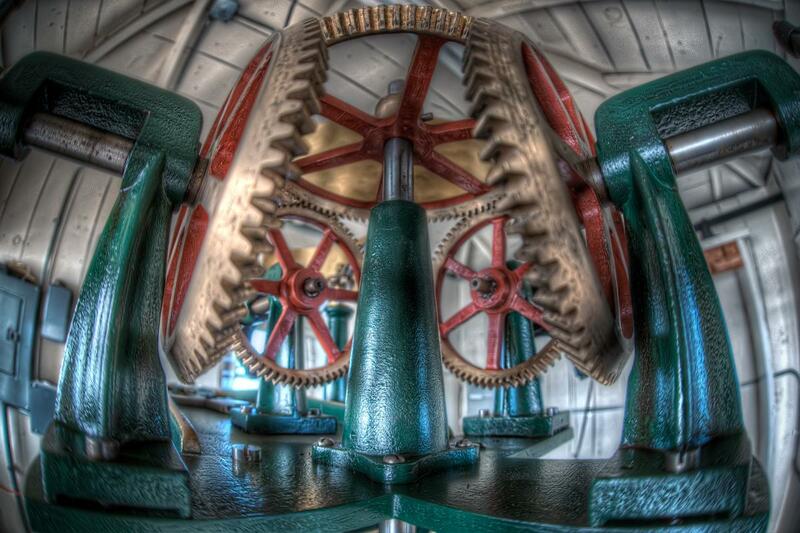 It is the largest mill lock tower in the world. 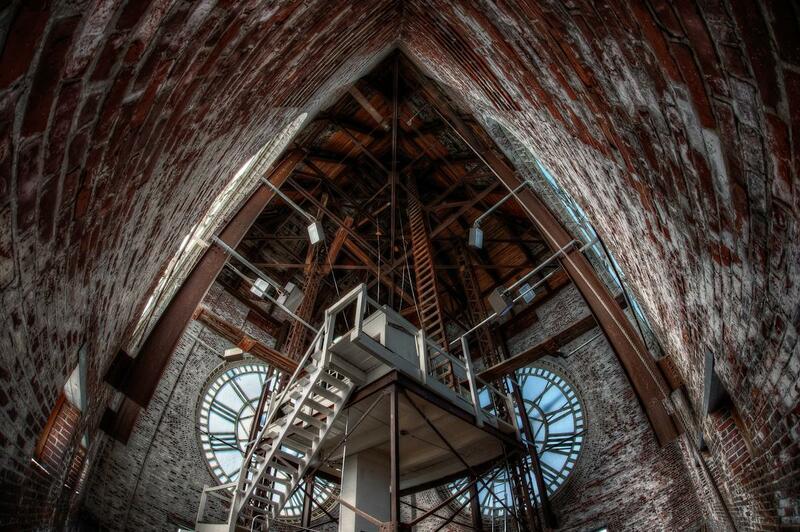 During restoration, 4 feet of bird droppings were cleaned out of the tower. 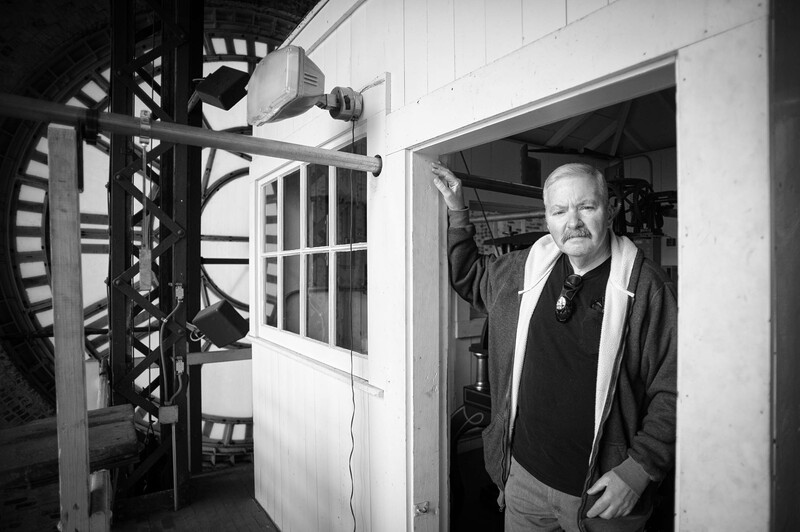 For the past 19 years, the primary maintenance has been conducted by the Clock’s caretaker, Charlie Waites. Charlie was my very gracious host during my shoot. 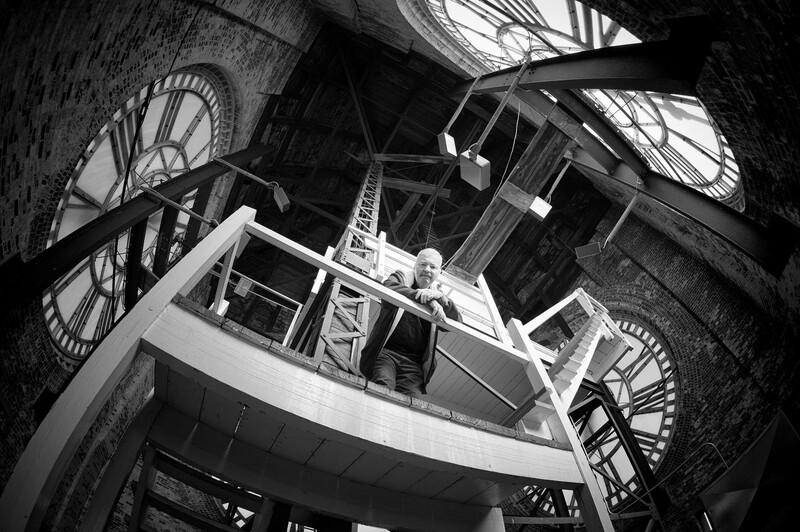 He was also instrumental in the 1991 restoration of the clock. 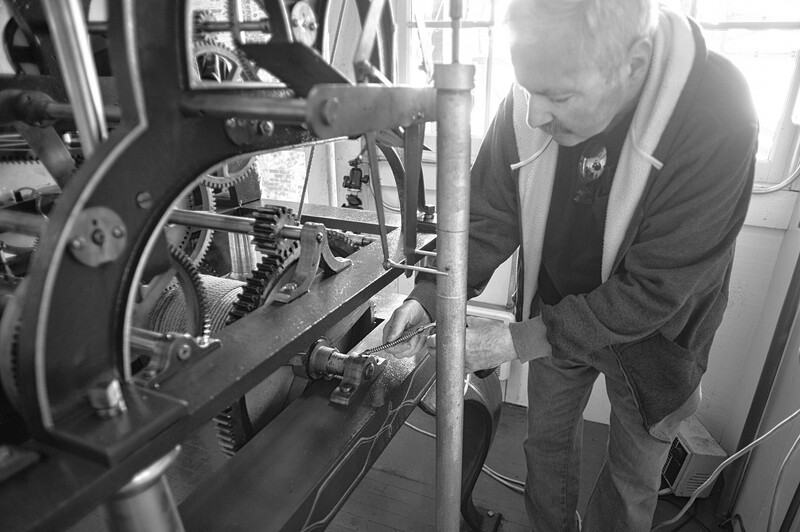 A machinist by trade, Charlie machined replacement gears for the clock. 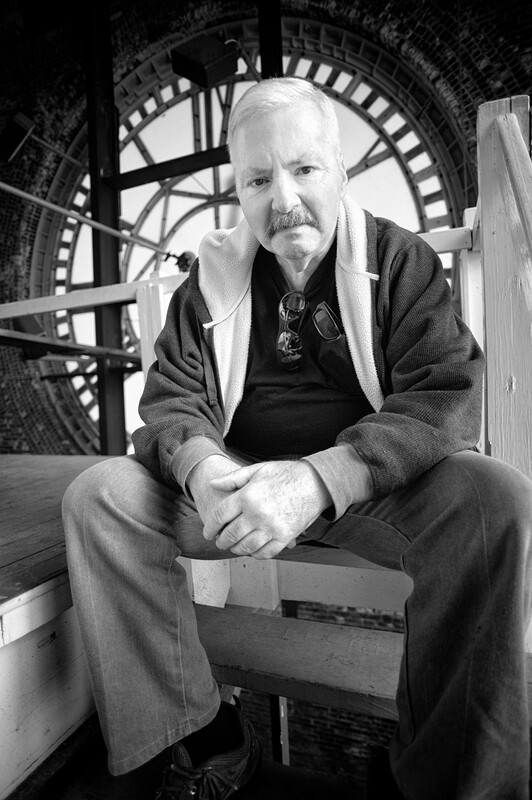 I wish to thank the ECCF and Charlie for their hospitality and trust in allowing me to roam around the clock tower so I could create these images. 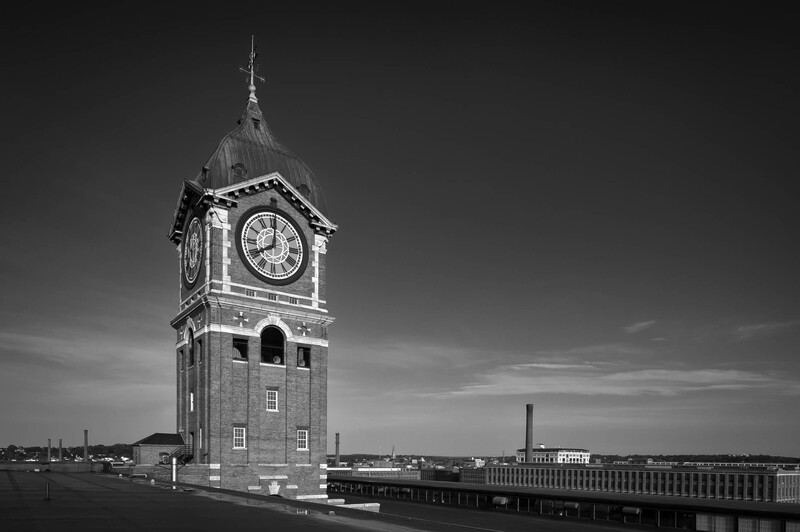 Please take some time to read more about this historic clock and the mission of the Essex County Community Foundation. Awesome series! 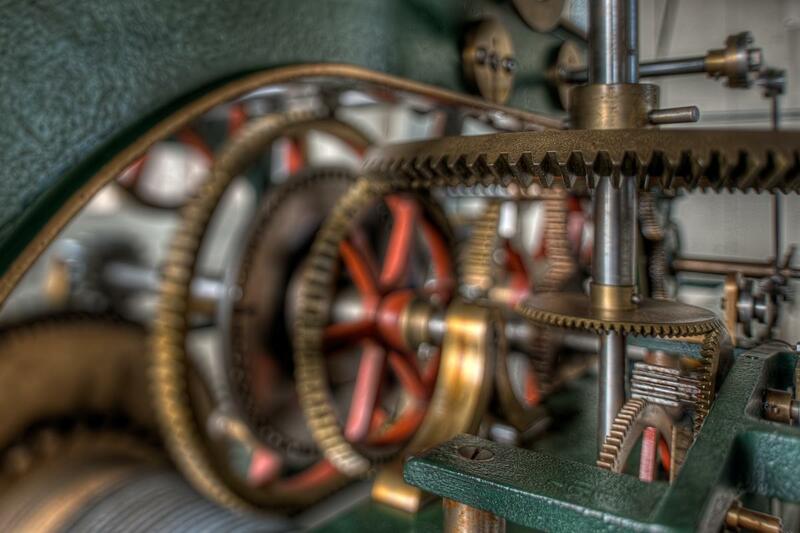 Love the colours and the intricacy of those parts…very cool. Nice collection of images. I think the close-ups are my favorite, although they are all great. Breath Taking! Wow ! Well Done! Great Work! Thanks For Sharing! Great photos. Should start conducting paid tours to enganve fundraising! !